Our pocket sized directory includes a half page feature with colour photo for each of our 2019 Host Venue Partners. It is distributed to every attendee at our 60+ events and to event organisers throughout the year. Why have we produced the Venue Collection Handbook? Within Urbano's membership network of over 5,000 members and associates, we wanted to find a way to better connect restaurants, hotels, bars, conference spaces, museums, galleries and other spaces that we are proud to partner with, to those within our member and associate companies who are part of the network and their event planners. We believe we have found the perfect solution to make sure our preferred venues are represented at every weekly Urbano event and beyond. How do I get my venue featured? To get listed in the handbook and confirmed as an Urbano Host Venue Partner, all you need to do is host ONE networking event in 2019. The networking event acts as the perfect showcase for your venue with the bonus of receiving a number of benefits throughout the year. Hosting options provided below. Networking Breakfast: 08:00 - 10:30 - Host provides venue space, AV and continental breakfast or seated dining depending on format. Capacity: TBC (30+). We have 6 places left for hosting. 1 networking evening, 5 networking lunches or private breakfast dining options. What if I am a caterer? For caterers who supply a roster of preferred venues, we will provide a Handbook list for both parties and membership. Yes. To guarantee your venue gets listed in the 2019 Handbook email Caroline by Friday 15th February 2019. Host Venue Partner status is on a venue-by-venue basis and we operate on a first come, first confirmed basis. Is there a cost to be featured in the Venue Collections Handbook? No. This is an exclusive benefit of becoming an Urbano Host Venue Partner. 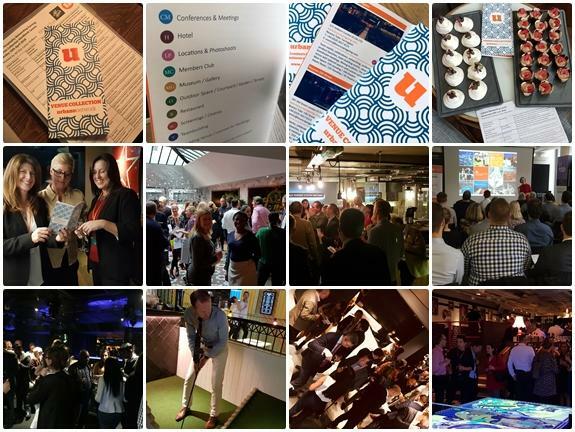 Note: Urbano is a closed network to venues which means ONLY representatives of Host Venue Partners can book and attend our networking events in 2019.